Over the years, the manner in which Filipinos spend disposable income has changed. Sometime after televisions became a regular part of even the modest homes, all members of the Filipino family possessed mobile phones. As financial know-how becomes more prevalent among Filipinos, making investments is now slowly becoming a good way to spend extra income. Considered as one of the most secure investment option, real estate is the most prevalent investment choice. For those who already own a primary home, a logical next step is a vacation home, many of which sit empty for the majority of the year as owners are banking time for another vacation. All the while, they are still paying associated taxes and mortgages. Having your own vacation home need not to follow suit, and as real property involves a much greater expense than a television or phone, making a few considerations would help ensure that it becomes a worthy investment it is supposed to be. While the Philippines offers a variety of landscapes, it is difficult to deny the potential it offers for waterfront living, particularly due to its being a nation of over 7,000 islands. With a climate that is mostly tropical, a visit to the beach, or a trip to the pool or waterpark, are also arguably the most favored vacation activities in the country. This is where the potential of investing on a waterfront property lies. There are variety of beach properties for you to choose from as you consider your vacation home. It never loses its novelty as you or other vacation-goers will always find use for it. Playa Azalea’s Aqua Park. Photo via Landco Pacific Corp.
One standout among already popular beach properties is Playa Azalea, located on the Island Garden City of Samal in Davao del Norte. It makes the most of its beach property designation, designed with a sustainable ecological plan and Samal’s rich cultural heritage in mind. It offers homeowners a luxurious tropical resort lifestyle with views of Davao City and the Davao Gulf. Opting for a property that is a closer to home not only means shorter travel time, it also means being able to visit your vacation home more often. Properties within relatively good distance of major thoroughfares or in a locale becoming increasingly popular mean a good proximity to conveniences, hospitals, schools, and businesses. Of course, a great location also means a healthy increase in property values. 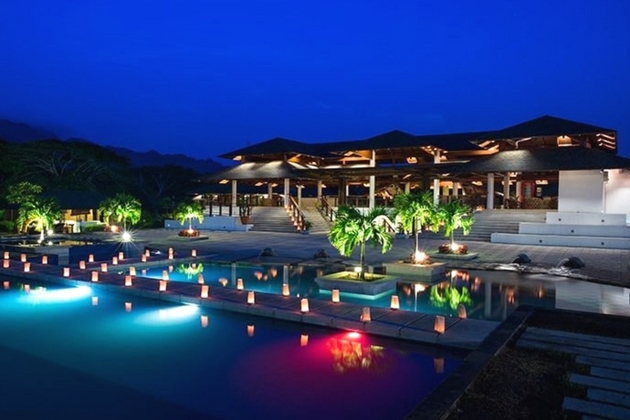 Playa Laiya Beach Clubhouse. Photo via Landco Pacific Corp.
A good example of such vacation homes is Playa Laiya. 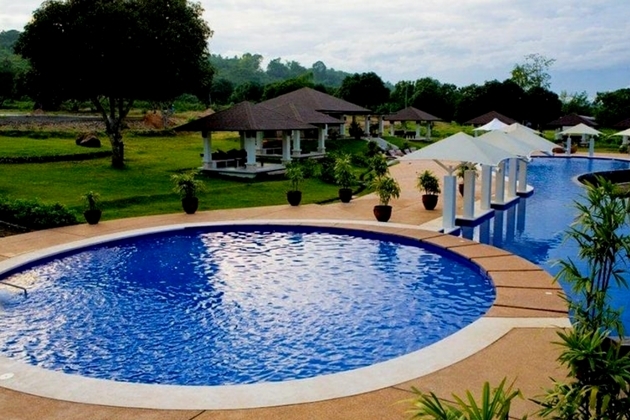 Located in San Juan, Batangas, it is designed to offer both convenience and exclusivity. It is situated on a booming first-class commercial hub where hotels, resorts, restaurants, and shops complement a landscape of blue waters and lush flora. While offering the utmost in seaside living, it is still just a little under 140 kilometers from Metro Manila.